The assessment of young children's development and learning has recently taken on new importance. Well-planned and effective assessment can inform teaching and program improvement, and contribute to better outcomes for children. This book affirms that assessments can make crucial contributions to the improvement of children's well-being, but only if they are well designed, implemented effectively, developed in the context of systematic planning, and are interpreted and used appropriately. Otherwise, assessment of children and programs can have negative consequences for both. The value of assessments therefore requires fundamental attention to their purpose and the design of the larger systems in which they are used. 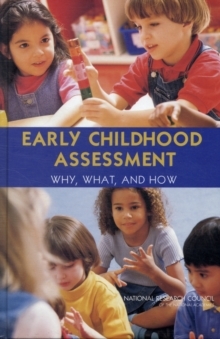 Early Childhood Assessment addresses these issues by identifying the important outcomes for children from birth to age 5 and the quality and purposes of different techniques and instruments for developmental assessments.